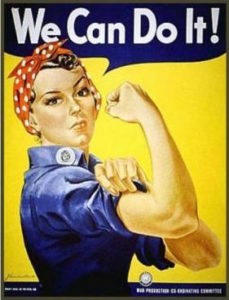 Rosie the Riveter (1942) became an icon, not only in the United States but also around the world with the ‘can do’ attitude to getting things done. 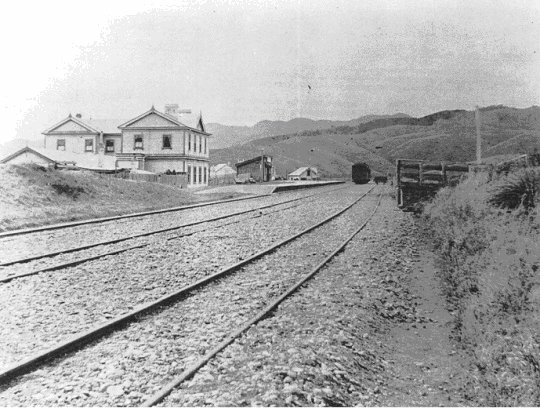 It is this ‘can do’ attitude of the Plimmerton Community that is bringing our 1940 era Railway Station back to life. 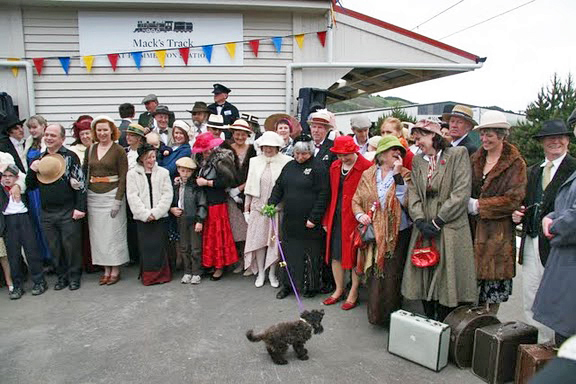 Our 1940s railway station refurbished in a combined effort by the local community, Tranz Metro and Porirua City Council. 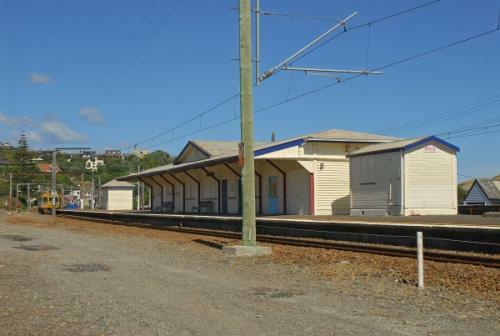 When rail management wanted to remove our long closed up railway station and replace it with glass shelters the community moved into action to look at ways the station could be saved and refurbished. 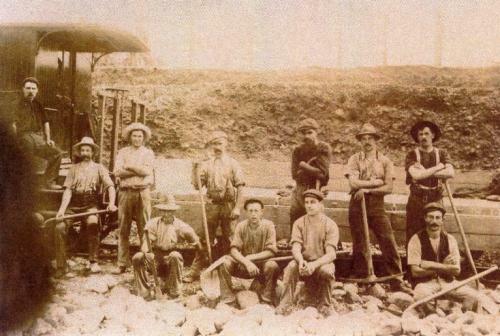 With the help of so many volunteer professional trades people and devoted Plimmertonians this ambitious project continues. A key element of our history is retained…and restored to its 1940 utilitarian usefulness! 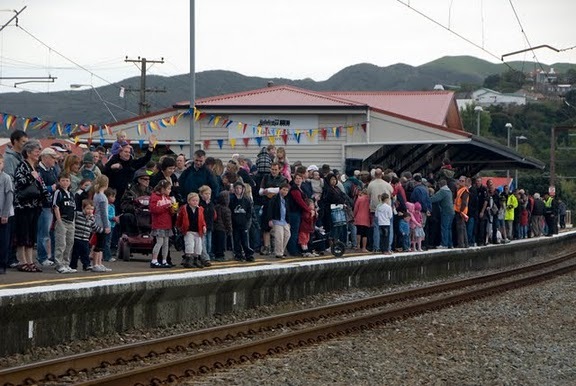 Spruced up services will make train travel to Plimmerton a more enjoyable experience. Working bees by professionals and volunteers have seen the roof and guttering replaced, old iron removed from the platform to bins, concrete broken up by experts and removed by wheelbarrowing volunteers, the internal walls and accumulated rubbish removed and carted off into bins…between January and April more than 185 voluntary hours was clocked up…and that’s not counting the time spent by volunteer tea, coffee and muffin makers who have kept the troops fed and watered. 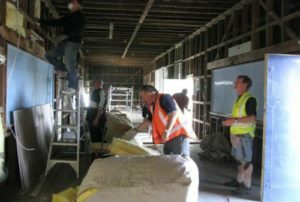 From May onwards internal refurbishment of the building has been the focus with plastering, electrical, plumbing and other specialist building skills in demand. Project managers Allan Dodson and Dave Anderson were flat out organising installation of electrical cable for lighting and power, preparing plumbing requirements in the refurbished area, putting insulation in the ceiling and walls, installing the ceiling and walls, and plastering and preparation for painting. During August and September the exterior of the building is being prepared for painting – scraping, filling, sanding, priming, undercoating and top coating – with all the hard graft that involves. The interior is now plastered and windows and doors are being installed. The interior painting and fit out will be completed so the tenant can move in in time for the official opening on 10 October this year. As at 14 August, the community has notched up 850 volunteer hours. Today, 1 September 2010, the volunteer hours is up to 1000+. Well done team!